If you loved the Iridis wrap dress already, you will now have more to love. 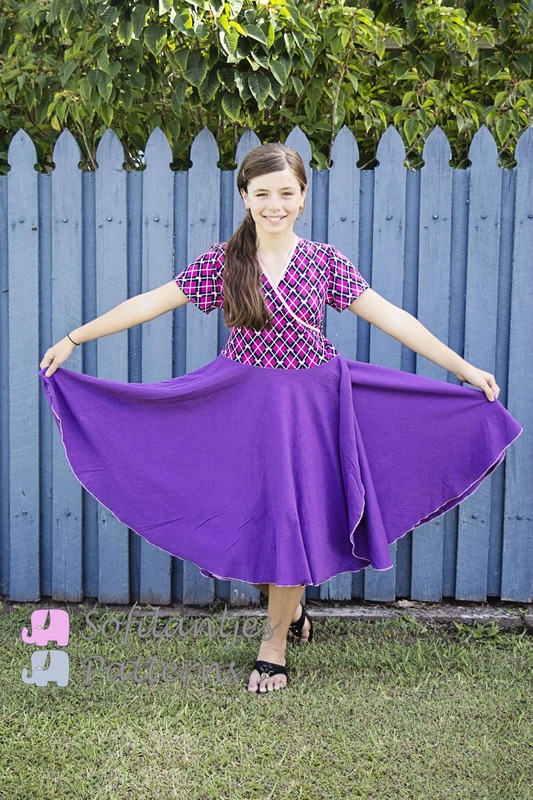 We created a circle skirt add-on for this wonderful wrap dress. 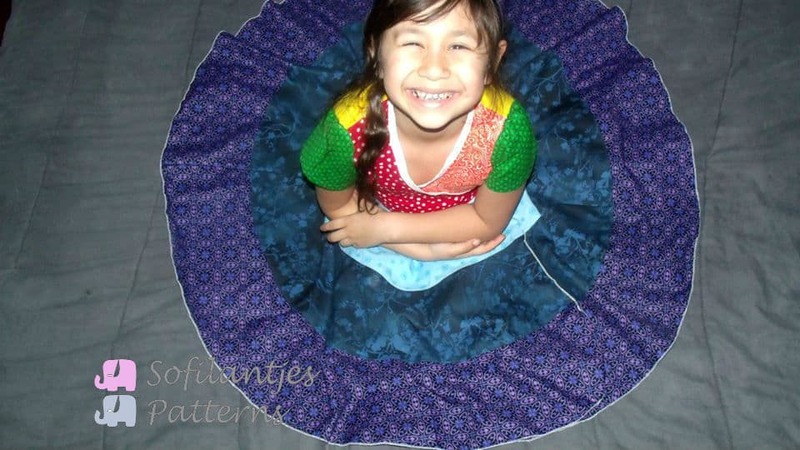 Meet the Iridis Circle skirt Add-On. This add-on has two skirt options. One is a tiered skirt version. The circle has three tiers. Perfect for playing with colors and prints. The other option is a simple circle skirt. 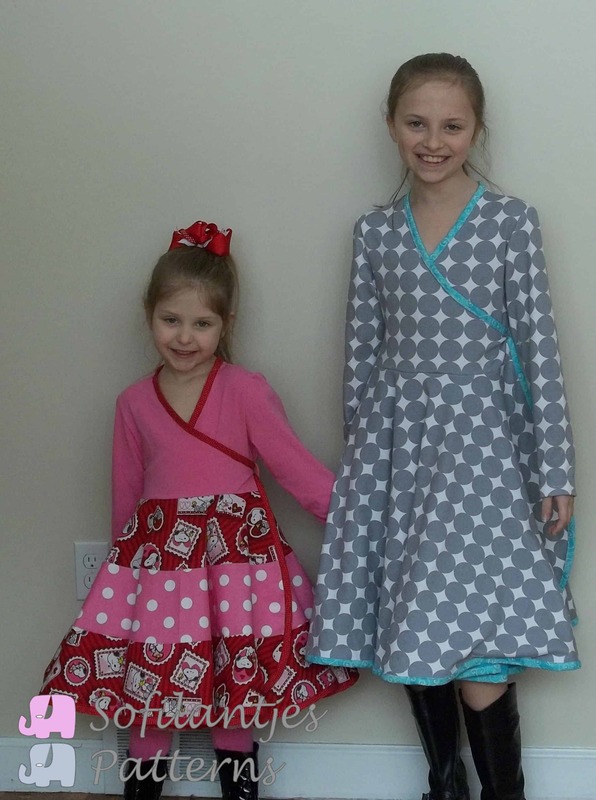 This version looks great on the older girls and is perfect for bigger prints. Also, this second version can be made with knit fabrics. 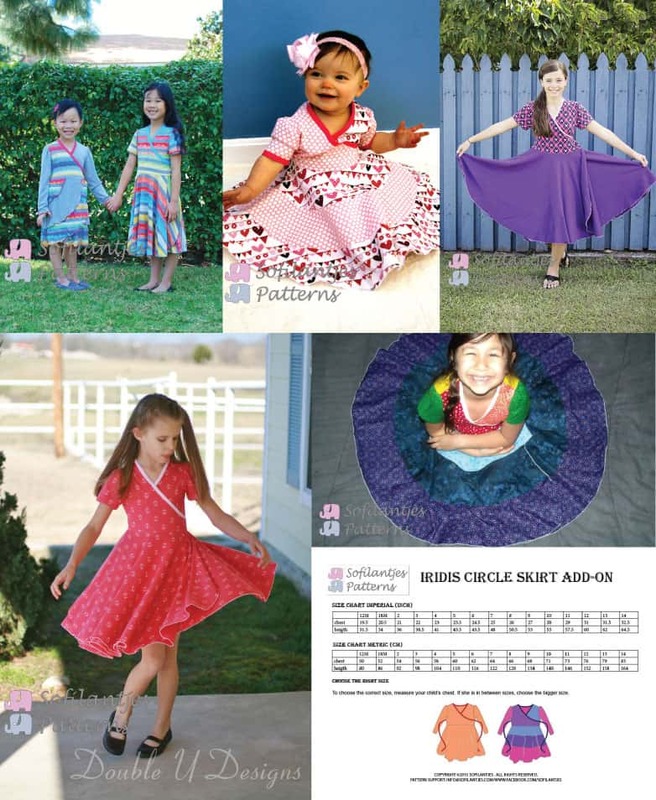 The circle skirt add-on pattern comes in te same size range as the Iridis wrap dress. The Add-on is on sale until February 19 for only $2.50 US. And if you do not have the Iridis wrap dress already, you can now get the BUNDLE for only $10 US. I must say I had a wonderful group of pattern testers. I was so inspired by all these beautiful dresses that I really had to make one more for my little one. It became a france inspired dress. 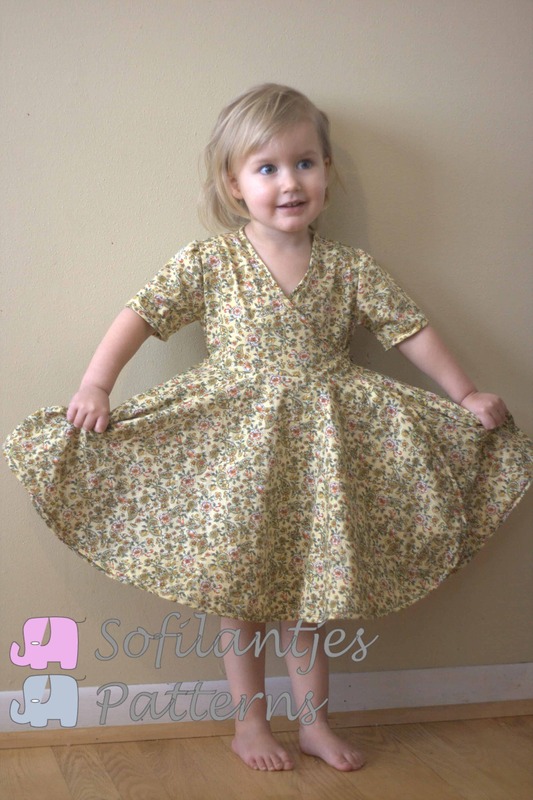 And this dress off course is perfect for twirling.